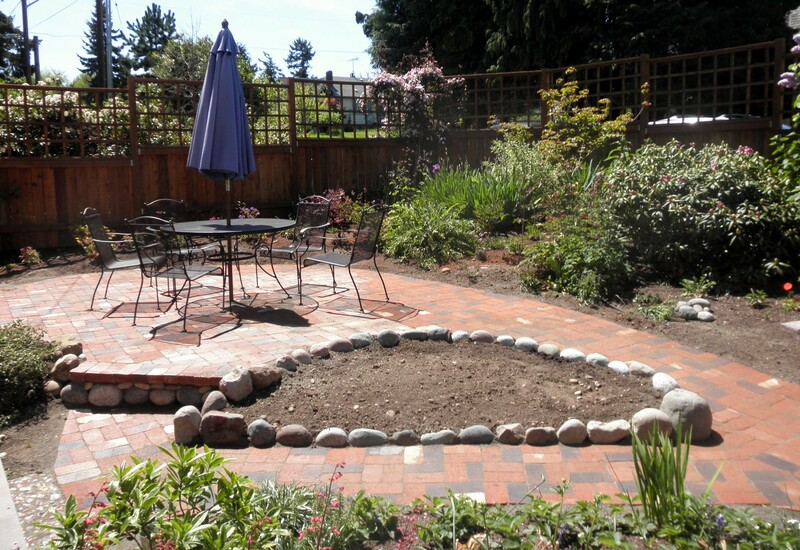 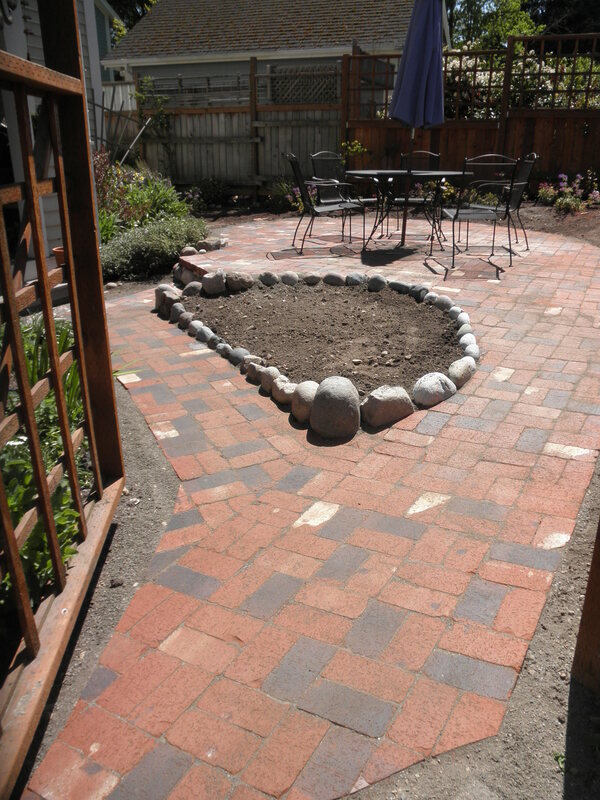 The brick patio was completed today and it really came together nicely. 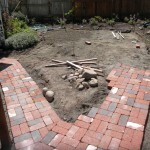 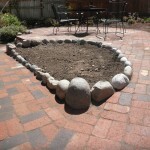 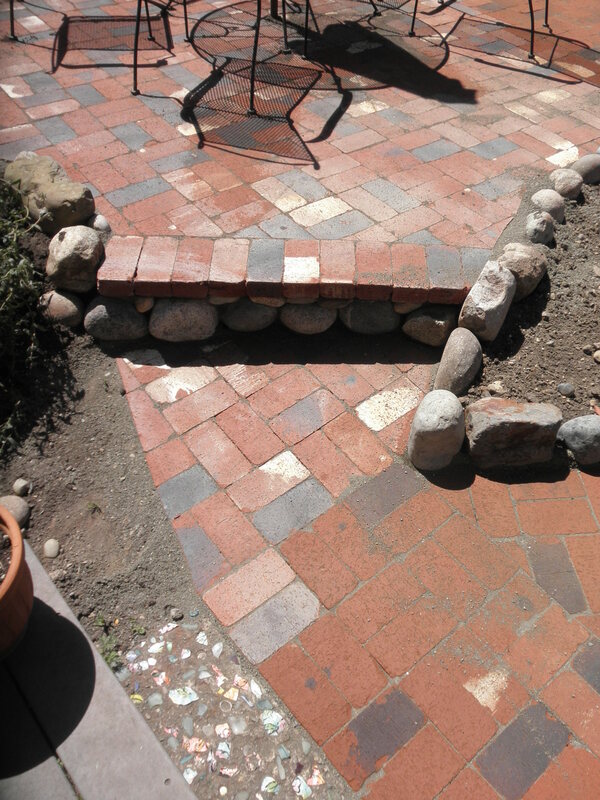 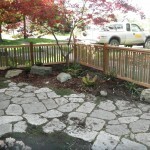 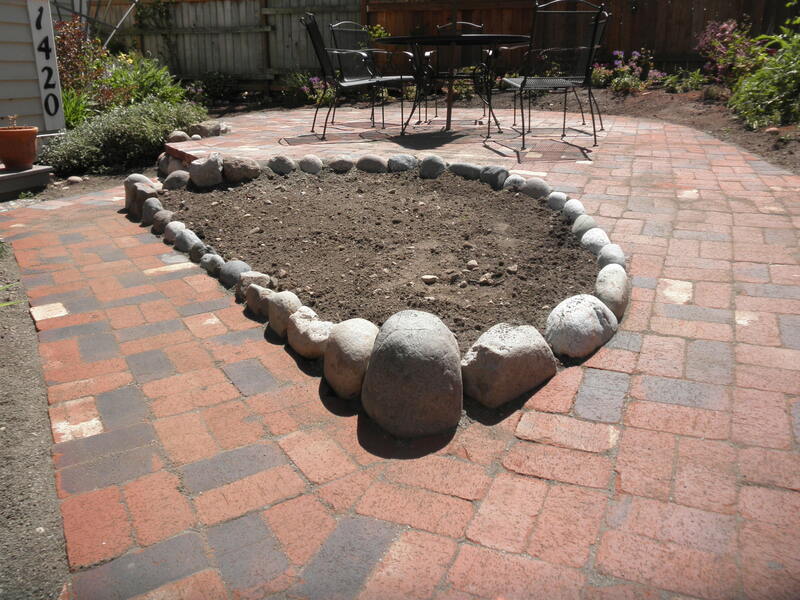 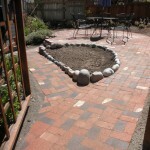 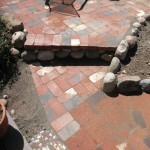 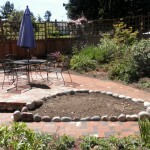 The river rock border for the planting area and the river rock under the step really compliment the brick. 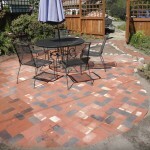 The main area for the table and chairs came out well with a nice curving shape. 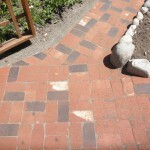 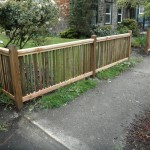 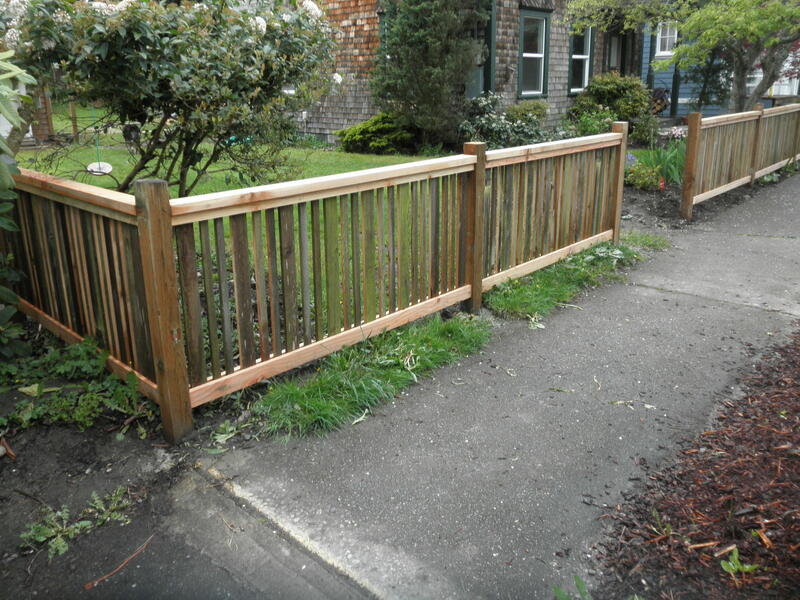 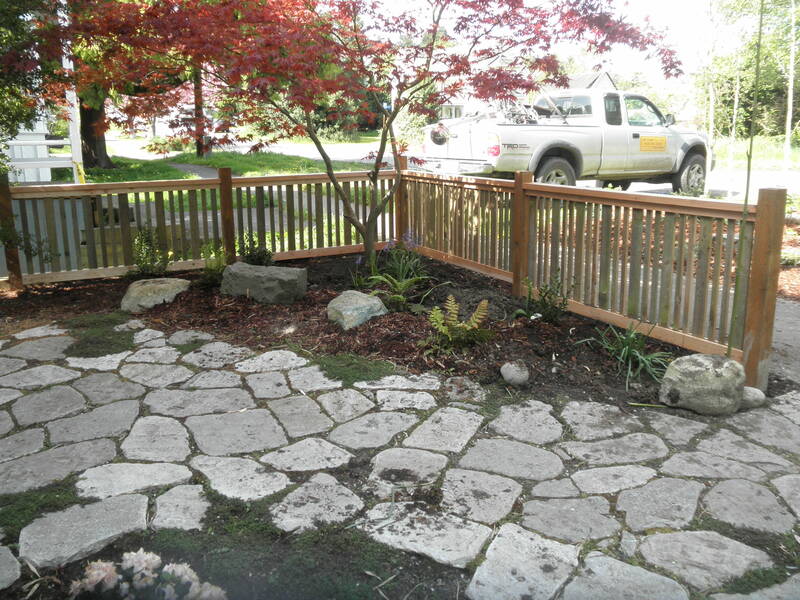 I am very pleased with the results and even more pleased that the sunshine was out every day of this job. 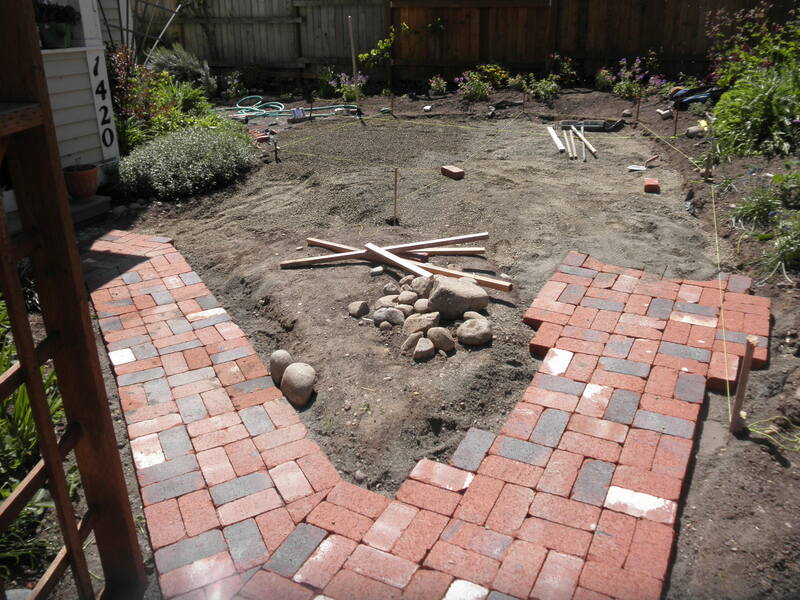 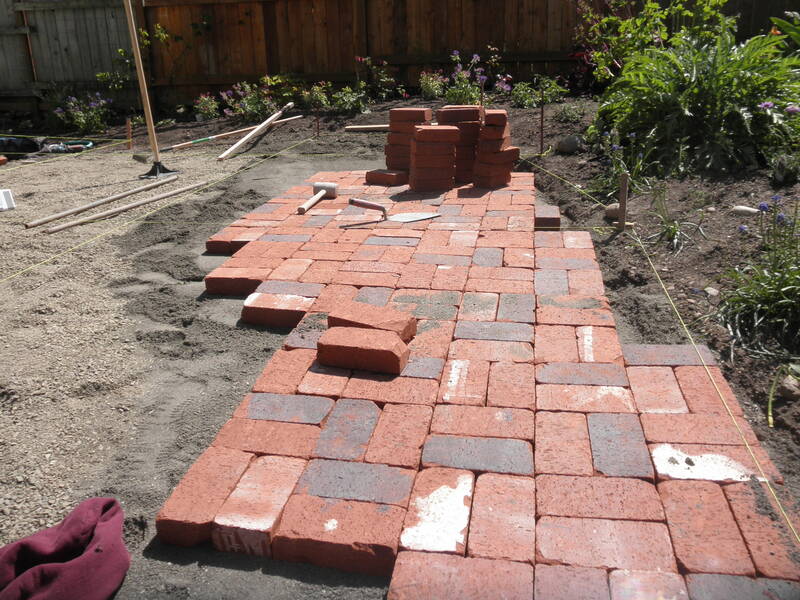 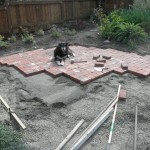 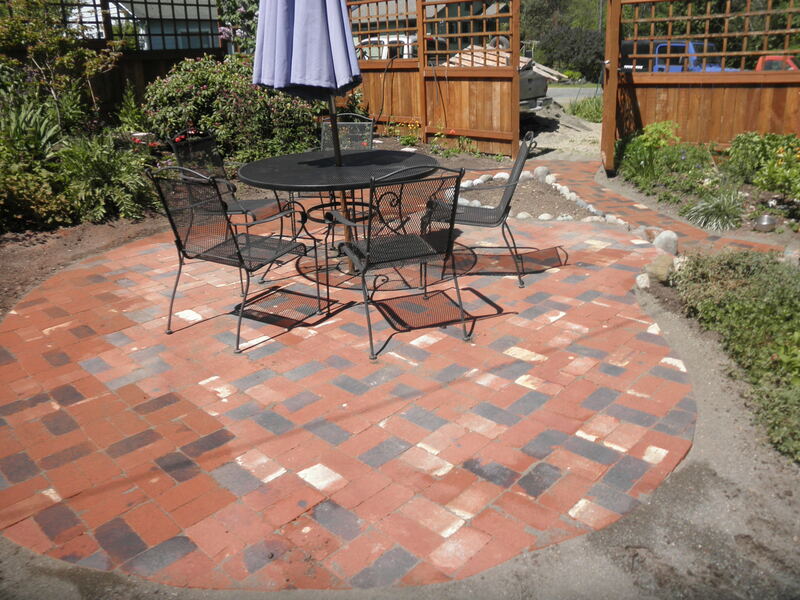 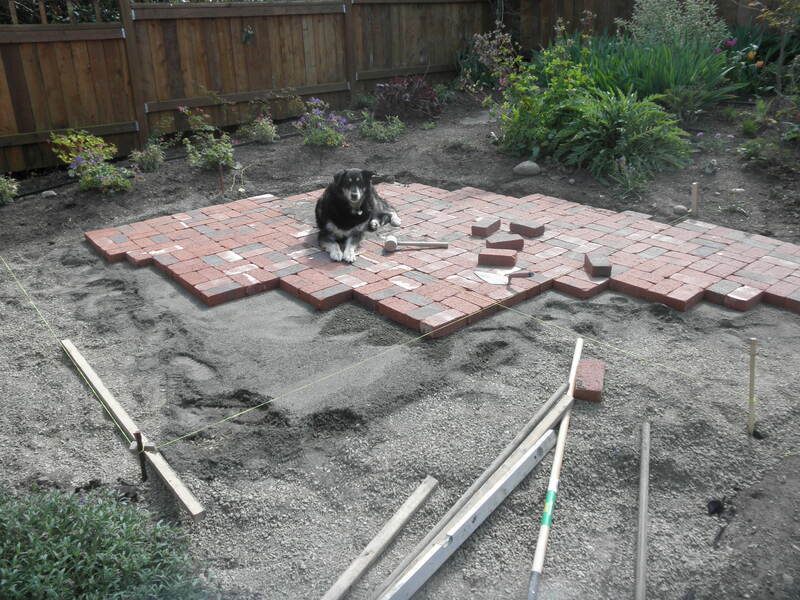 My latest project is a brick patio to accommodate outdoor table and chairs, a chiminea and serve as a compliment to the surrounding flower beds. 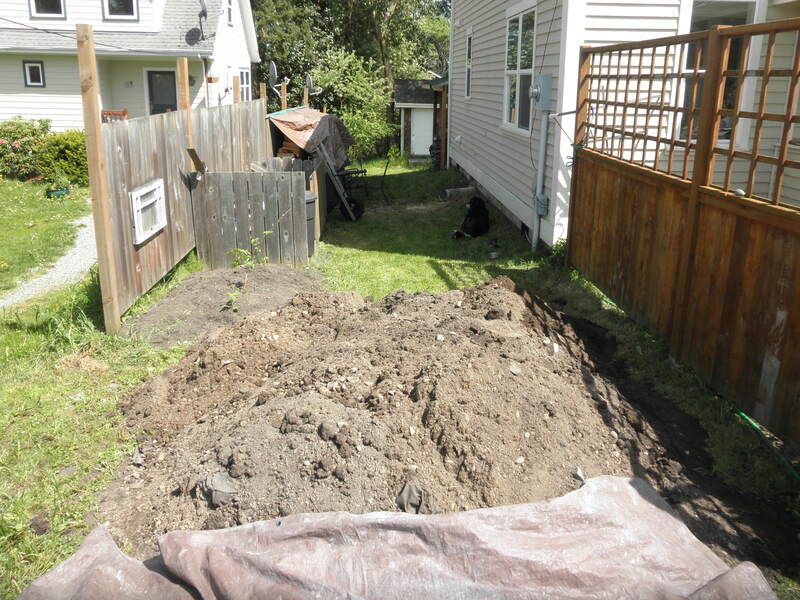 Hand excavating the two hundred square feet for this job was a very labor intensive endeavor. 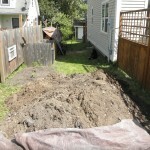 There was a lot more dirt than I thought. 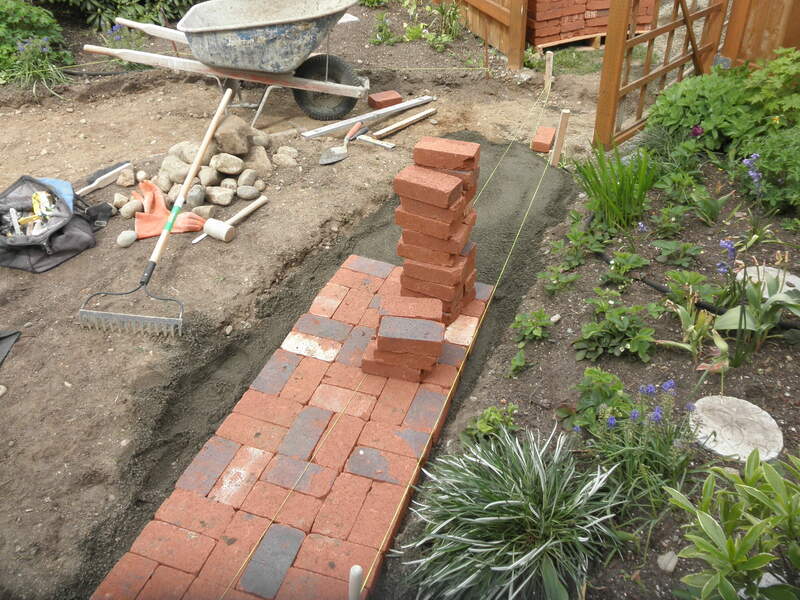 Luckily this was the hardest part. 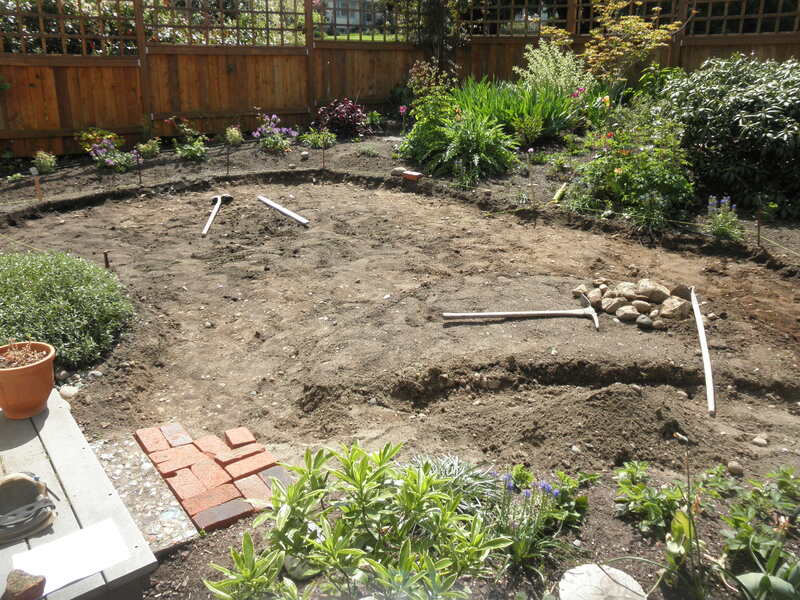 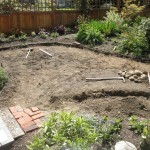 After the dirt is removed, lines go up to define the shape and establish level. 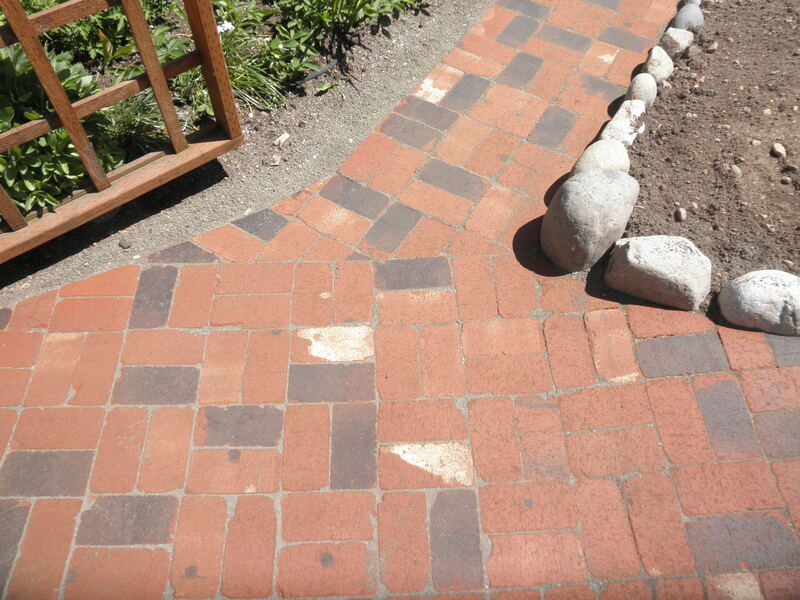 There are lines everywhere so watch your step! 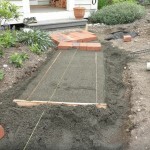 After the guide lines are set, the weed blocker goes in and on top of that, 1/4 inch minus crushed gravel. 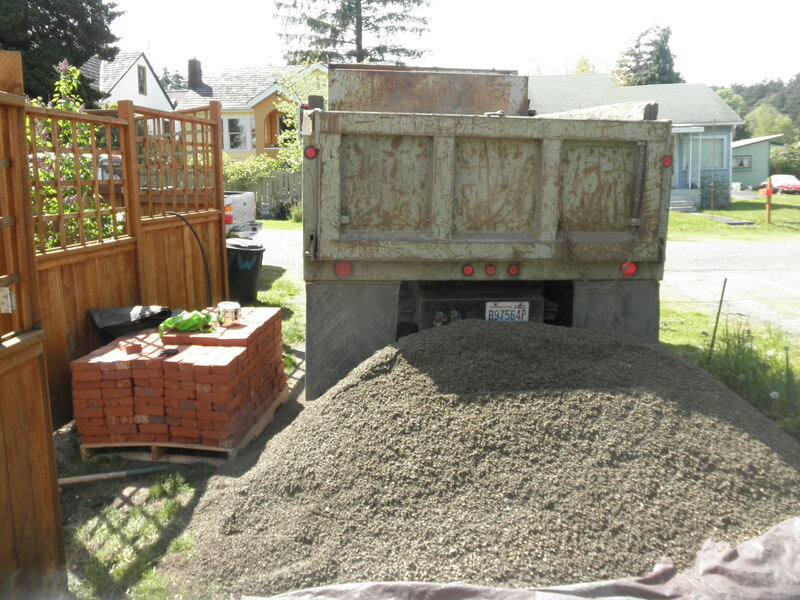 The gravel is compacted to a hard packed base. 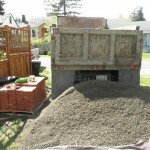 After the gravel comes the sand. 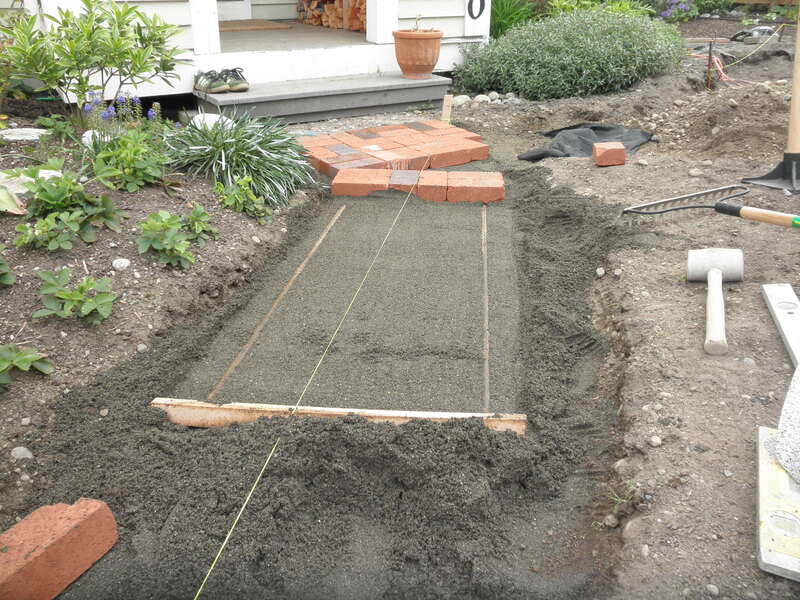 I use metal pipes as levelers for the sand and then a straight 2 x 4 to screed the sand flat and level This system works very nicely and once the pipes are removed the bricks get installed with minor adjustments. 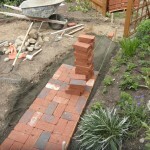 The bricks are going in fast now with about 600 installed, 400 to go. 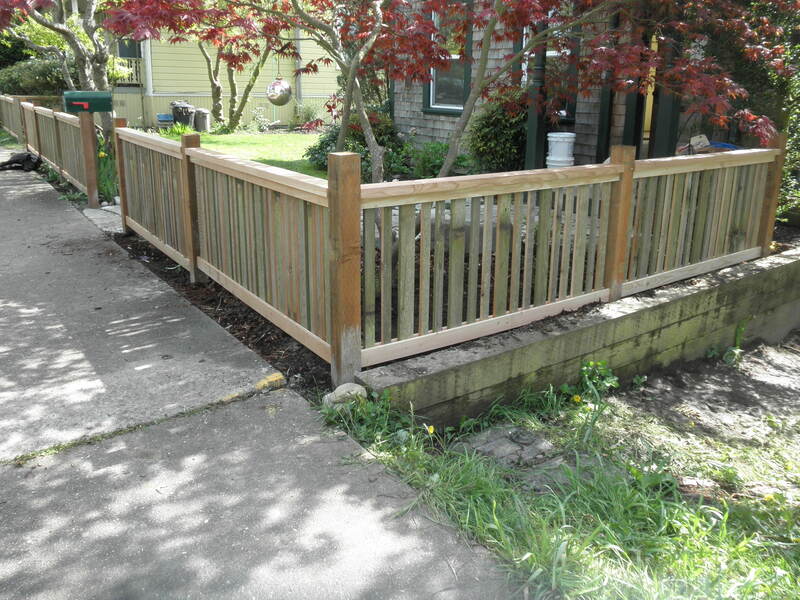 I had to work around a lot of rain to accomplish phase one of this fence project. 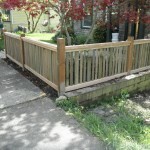 My poor power tools had to deal with so much adversity on this. 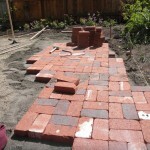 My Delta planer did not make it so I upgraded to a DeWalt. 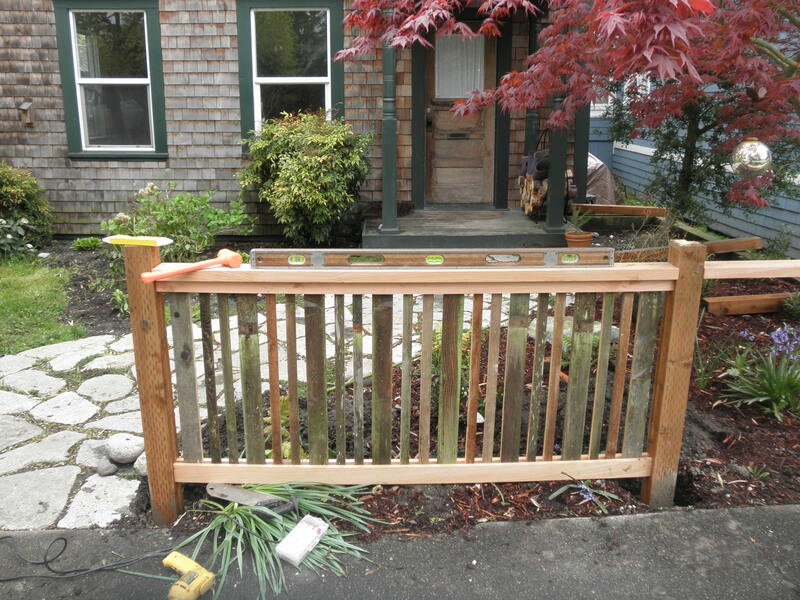 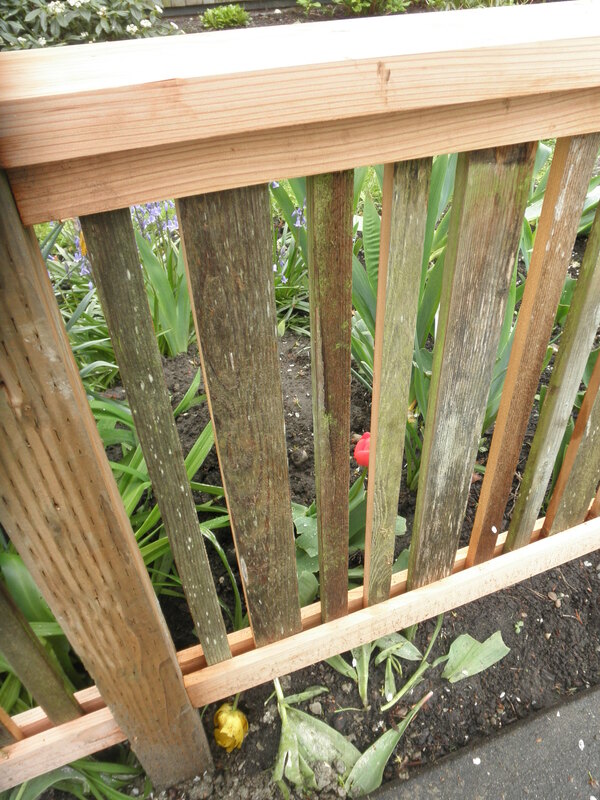 All of the stiles on the fence were recut and ripped on the table saw from the existing fence on the property. 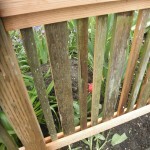 The rest of the cedar was rough sawn and planed to the desired thickness. 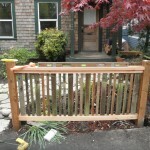 The recycled cedar has a great variation in color that only comes with weather and age.